Pot/Plant Size: All of our plants are shipped growing in 3", deep pots unless otherwise indicated in the individual description. The photos shown for each plant are indicative of mature plants and do not represent the size shipped. 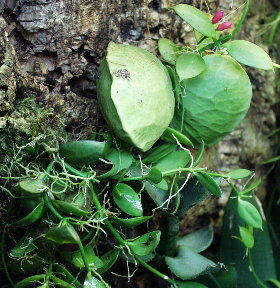 Epiphytic species are normally shipped as unrooted, mossed cuttings unless rooted plants are available. Packing: All plants are packed with the same amount of care that is necessary for them to travel across our state or across the country. We start by wrapping all plants individually using methods acquired from 16 years experience of shipping live plants. Potted plants have a special soft wax paper that is taped over the soil area to prevent the plants and soil from falling out of its pot. We then wrap the plant further to protects its foliage and use additional packing materials as necessary for safe, soft transit. Winter packing incorporates the use of an insulated box and heat pack, while some southern shipments during the summer months may require the addition of a cool pack. Shipment: We ship all plant orders on Mondays, Tuesdays, and Wednesdays excluding holidays. We ship nearly all plant shipments via UPS ground or UPS 2nd Day Air. We ship to geographically local states via UPS ground as long as the shipment can be made within 1-3 days transit during warmer months and 1-2 days transit during the cooler months. Packages going to any state that is considered to be beyond our local geographical area will be shipped via UPS 2nd Day Air for fast, reliable, and traceable service. Packages going to Alaska or Hawaii are sent via Priority Mail. Sorry, we do not ship live plants or animals to foreign countries including Canada. Why use plants from Black Jungle? Average terrarium conditions of lower light levels, warm temperatures and lots of humidity can pose a challenge when trying to find plants that will prosper. Additionally, some plants that do like those conditions like them all too well and wind up outgrowing an average size tank within a couple months. Many plants that are available through home improvement stores and large department stores fit into this category. The use of harsh pesticides, chemical fertilizers and growth regulating hormones are also an ever present concern with plants produced for these mass merchandisers. Over the years, we have tried growing many, many plants in our own terrariums. Some did great while others did not fare so well. The result is the group of plants that we offer today. That same process still continues as we continually try new species to add to our list. We select plants that will either remain small at maturity or at least be able to be maintained at a smaller size while still keeping with the scale of the vivarium. In addition to plants suited for growing in terrariums, we choose plants for their animal compatibility qualities, exotic foliage, or unusual growth habits. We do not feel that having to remove or change out plants on a continual basis is an acceptable practice. It eliminates any chance of a naturalistic environment developing, causes undue stress on the vivarium inhabitants and represents short-term thinking. It is simply not necessary if the proper plants are chosen from the start. Many of our plants are suitable for smaller (10-20gal) vivaria, while others will do better in larger ones. We do also sell a few plants that are suitable for larger tanks only and these are indicated in their descriptions. We use no chemical pesticides and all of our fertilizers are organic and animal-safe! Although we do sell some of the more familiar plants, we pride ourselves in being able to also offer some rather rare and unusual species as well. These are plants that we have acquired while traveling abroad or through trades with botanical gardens and conservatories. Availability on these is often limited and intermittent as propagation can be slow. You can decide for yourself. Would you rather have a tank that will need to be torn apart every three months or so, replacing the plants and upsetting the inhabitants or would you prefer a natural vivarium that you can watch grow and mature along with your pets while it becomes just as interesting as they are? If you have any questions or need help please let us know. We are always ready to help you choose the right ingredients for a successful and long term habitat! We have noticed over the years that many dart frog keepers perceive habitat design in differing ways. While some are satisfied with relatively simplistic setups, others prefer a more elaborate design with a greater diversity of plant species. Choices used to be limited to the Golden Pothos (actually a Scindapsus) and some other mass merchandised plants that often grow into small trees, popping the cover off the tank and requiring frequent replacement. Listed below are tropical plant families or groups that we have been working with for several years. All have been selected for not only their suitability for terrarium growing, but also for their aesthetic qualities. 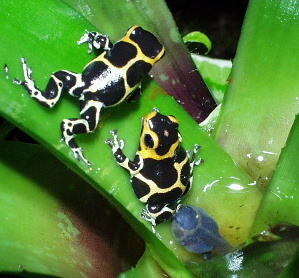 These are one of the most popular additions to the dart frog terrarium. Both beautiful and functional, these plants provide hiding and breeding places for many species while adding great color and form to the landscape. Although they like moist conditions they are prone to rot if the substrate is kept wet. These plants can also be mounted onto wood or backgrounds. 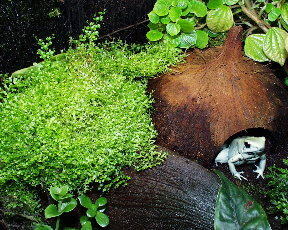 Neoregelias, Guzmanias, and Vrieseas are among the genera most suited to terrarium growing. Brighter light will bring out the best color and growth form. The family of Aroids is extremely diverse with many plant sizes and shapes. This family includes upright plants, vines, epiphytes, hemiepiphytes, and aquatics. Some species are vines that soar to the treetops in tropical jungles with leaves over a meter long, while others have simple rosettes of leaves growing under water reaching only a few inches tall. Familiar members of this family include the very common Pothos and Philodendrons. Most all of them are found in warm, moist forests under the shade of the canopy. This makes them ideal terrarium plants as even some of the larger species have much smaller juvenile forms that will never mature under terrarium conditions. The unusual “shingle leaf” growth habit of some are definitely stunning when grown along a back wall. Characteristically broad, flat leaves provide climbing and perching places as well as egg deposition sites for many frog species. The miniature growth of some unusual species provides a dramatic addition to the tropical terrarium. Some of the finest climbing plants for the terrarium are the vining Aroids such as Philodendron, Monstera and Scindapsus species. Anthuriums cover another broad spectrum of the aroid family, widely known for their interesting berries, beautiful flowers, or striking foliage. Ferns have long been used in terrariums due to the fact that most species like high humidity and do well under low light. Careful selection of terrarium ferns has not always been that simple, as many will quickly outgrow smaller terrariums. Many we offer are both smaller in growth form and size. Some of the smallest and most striking of these are the less common epiphytic species. Most of the epiphytes have small, simple, undivided leaves that grow from a creeping stem or rhizome that often is covered in silver or brown furry scales. These species are ideal for growing on moist wood or on natural terrarium backgrounds. They too like the usual fern conditions but prefer to be kept moist all of the time and appreciate higher humidity. 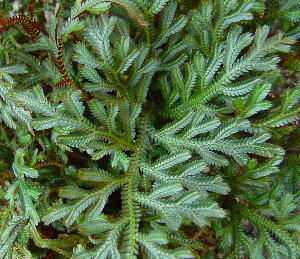 Selaginella, also sometimes called ‘spike moss' is not a moss at all, but rather a close relative of the ferns. They reproduce through spores and have tiny, scale-like leaves arranged along wiry stems. Some species are low growing and spreading while others are more vining and can climb over 30 feet tall. 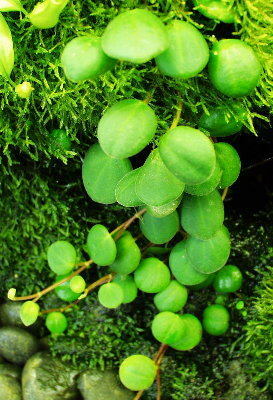 They have delicate, ferny foliage and are great plants for use in terrariums. They like warm, moist conditions and do well under low light. Some species appreciate more ventilation than others. They are mostly varying shades of green although some species have a blue iridescence while a couple quite rare species possess a deep, blood red color to the undersides of their leaves. 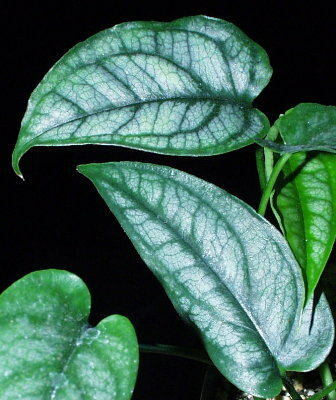 Most species will also propagate quite easily from leaf cuttings. Many Begonia species are well suited to the terrarium where they add a bright splash of color, whether it be from their leaves, flowers or both. Some of the smaller African species have bright, orange-yellow flowers while many others have flowers ranging from white through pink. Under terrarium conditions, Begonias enjoy high humidity and moist soil but do not like water standing on their leaves for extended periods. Some species do well under low light while others prefer a little brighter spot to avoid getting tall and leggy. 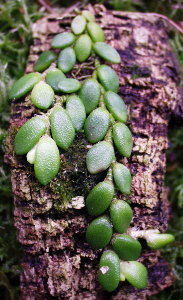 There are even some epiphytic species that do well when mounted onto moist wood or onto natural terrarium backgrounds. These are among the most exotic and beautiful additions to the terrarium. Although they are orchids, they are most famous for their foliage rather than their flowers. As the name implies, their dark leaves are usually patterned with contrasting veins of silver, red, pink or orange that literally sparkle like jewels. There are many species from several genera but all of the ones suited for terrariums enjoy the same conditions. They like high humidity and a moist, but well drained substrate and warm temperatures. Low to medium light is best as too bright of light will tend to cause the leaves to take on a bleached appearance. The flowers produced by most species are not particularly showy and are usually small and white held atop a tall stem. Although there are tens of thousands of species of orchids, most are not suitable for terrarium growing due to plant size or cultural requirements. However, there are many of the miniature species that do quite well under the warm, moist conditions that the terrarium provides. Culture will vary widely depending on the species although, in general, they do prefer brighter light and good ventilation. Some species will do well under very moist conditions and lower light. The flowers of many of the miniatures are not necessarily large and showy, but are still spectacular in their own right. Bizarre petal shapes and configurations make one wonder about their evolutionary path and some species have flowers so incredibly small that you need a magnifying glass to see any detail of them. 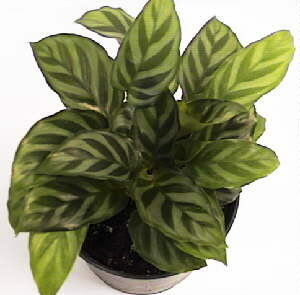 Calatheas, relatives of the more commonly known Prayer Plant, are most popular for the incredible colors and patterns of the leaves. Appearing almost hand painted, the leaves can be brushed and streaked with bright pinks, gold or even splotched with black. They are very useful in terrariums as their tough leaves can support the weight of treefrogs and even small lizards. They do well under warm, moist conditions with medium to high humidity. They can grow rather large so are best suited for larger tanks although they can be cut back to ground level where they will resprout with new, smaller growth. The family of Gesneriads is huge with species from around the world. The most common representative is the African Violet. Gesneriads are very popular mostly due to their brightly colored flowers in almost every color of the rainbow, although some species do have beautifully patterned leaves. Many species are ideally suited for terrariums where they will get the high humidity and warm temperatures they desire. 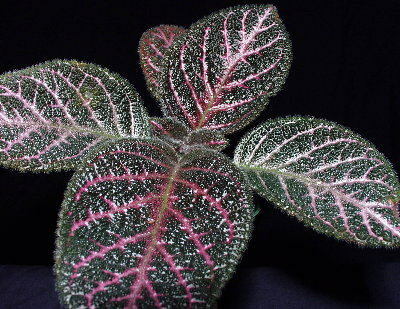 Some of the better ones to use include Episcia, Sinningia, Columnia and Alsobia. Generally, medium light is preferred along with a moist substrate. Gesneriads do not like water sitting on their leaves as it can cause discoloration or rot. The term Ant Plant is used to describe any of the plant species that live in a complex relationship with ants in the wild. 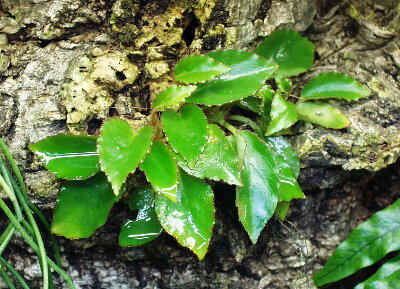 Found in various plant families, they are mostly tropical in origin and virtually all are epiphytes. Ant plants are characterized by the habit of producing some sort of structure that serves as housing for the ants. This can be in the form of inflated leaves, hollow stems or rhizomes or even large tunnel-filled swollen trunks. The plants take advantage of the waste products of the ants while the ants also help to protect the plant from predation. 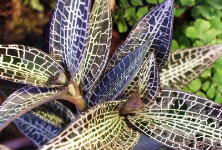 These are some of the most unusual additions to the terrarium and do quite well when given medium to bright light and a moist, humid atmosphere. They do best when mounted epiphytically but can be grown terrestrially in a very well drained mix. The plants do not attract ants, nor do they require them to grow well. The plants do however, usually like to be fed frequently. A few species of this large family have become quite common in the plant trade, however there are many species that are far better suited to terrarium growing varying widely in both growth habit and appearance. 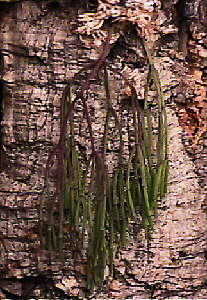 Some species are true epiphytes with creeping stems while others are terrestrials with upright stems. Leaf shape and color vary from species to species and can range from large, rounded and green to tiny and bright red. Most species prefer medium to brighter light and are more tolerant of drier conditions and lower humidity. While Venus Fly Traps and the North American Pitcher plants are some of the most popular carnivores, they are not really the best choice for the tropical terrarium. Other types that will fare much better include the Nepenthes (tropical pitchers), Butterworts and Sundews. There is often great concern over mixing carnivorous plants with dart frogs, however when common sense is used is it quite successful. Only larger or more mature species of Nepenthes can pose any real danger and that it still to mostly young frogs that may not be able to negotiate their way out of the traps before tiring. 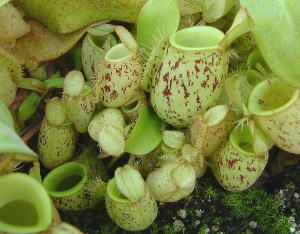 In fact, we have even had a group of D. auratus raise clutch after clutch within the traps of some large Nepenthes traps. The tropical pitcher plants and tropical species of Butterworts and Sundews generally like a moist substrate that tends to be more acidic. The Nepenthes prefer a little extra drainage as well. Light levels should be medium to bright for best growth. Some species of Nepenthes produce relatively small traps even at maturity making them ideal terrarium inhabitants. The plants do not require any feeding but usually succeed in capturing food insects that the frogs may miss. Rhipsalis, also known as Jungle Cacti, are actually epiphytes and are members of the cacti family found in tropical forests from Mexico through South America. Very easy to grow, these plants create a nice cascading effect as their drooping stems form tangled mounds of green. Small white flowers are often followed by white berries. Ideally suited to being mounted onto branches or on natural terrarium backgrounds. They prefer to be kept moist but will tolerate drying out occasionally. Likes medium to bright light. Several types of plants are ideally suited for growing aquatically or as marginals at the water's edge. These would include Bacopa, an excellent ground cover, Acorus, a nice grassy looking plant, and various species of Aroids such as Ananas, Anubias and Cryptocoryne. 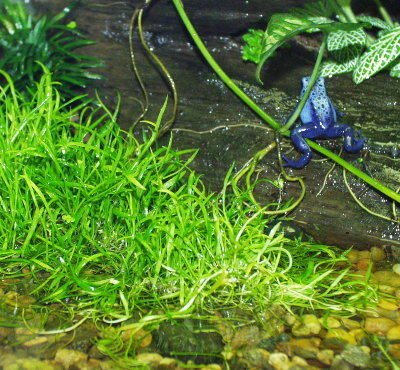 Another plant, Lileaopsis, creates a lush carpet only a couple inches tall in the pond area of the terrarium. Most of these plants will grow in straight gravel and usually require that they be planted with at least their roots submerged in water. Most of them prefer brighter light although some species will accept more dim conditions.